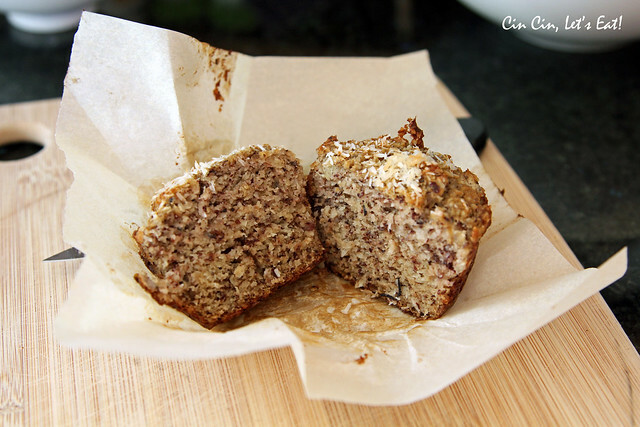 Grain-Free Banana Coconut Mini Loaves [recipe] – Cin Cin, Let's Eat! Happy new year to all my fellow food lovers and dear readers of Cin Cin, Let’s Eat! I wish you all a happy and healthy 2014. In search of gluten-free baking, I came across this awesome blog that has some very creative and yummy recipes not only for gluten-free, but for dairy-free and refined sugar-free as well. I’m not allergic to gluten, but have been suggested that it may be the cause of my eczema flare-ups. It’s not scientifically proven but I saw no harm in trying to eat less gluten in my diet. 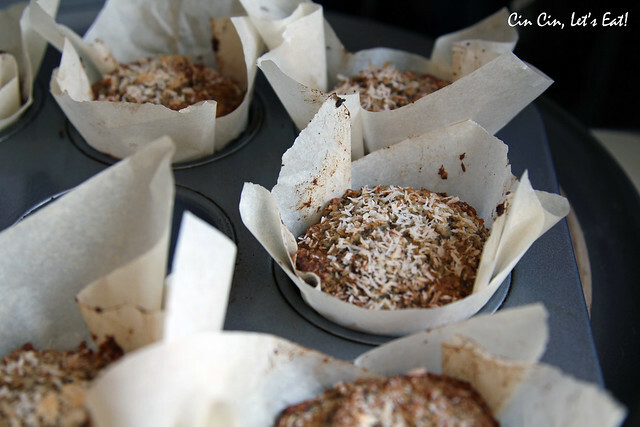 I absolutely adore this recipe and have been making these little loaves for breakfast and energy refuel snack. While each yummy loaf is filled with ingredients that are good for you, I don’t know the exact amount of calories of each loaf but it’s definitely not on the low side. That’s why I like to make them in muffin tins instead of rectangular loaf, as the size is perfectly filling for me. Coconut flour is also a new discovery for me, it’s a bit more expensive but a little goes a long way. I especially love the subtle hint of toasty coconut that it adds to the flavor profile. 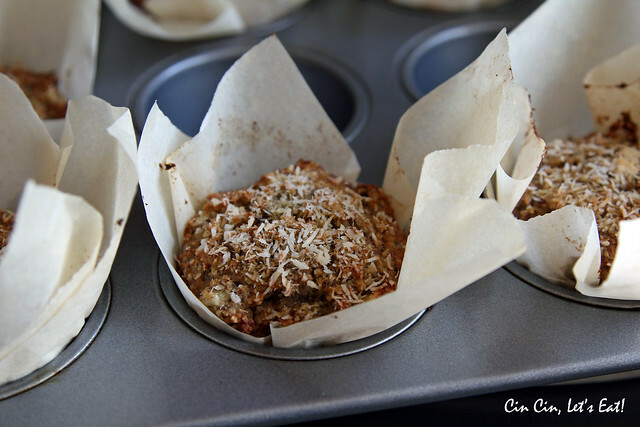 I have adjusted the recipe’s bake time to using a 12-cup muffin pan. Another adjustment was the amount of salt. I personally loved the balance between the saltiness from the sea salt and the sweetness from the other ingredients, but the hubby thought it was too salty for his taste so I reduced the salt for this recipe. 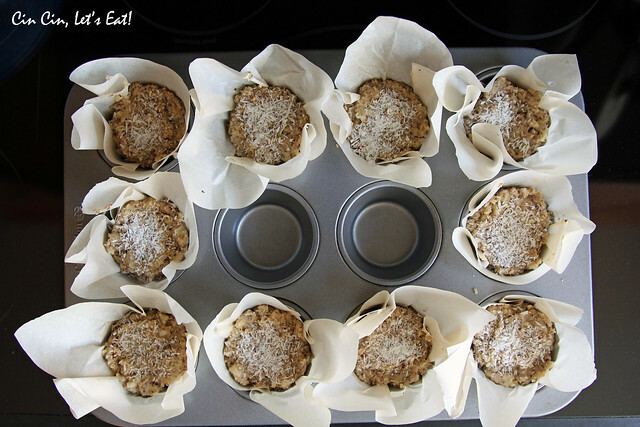 Preheat the oven to 350º F. Line the muffin tin with liners or parchment paper. In a large bowl combine the almond and coconut flours with baking soda, sea salt and shredded coconut. In a small bowl combine the eggs with the coconut oil, maple syrup, vanilla extract and the mashed bananas, whisk until very well combined. 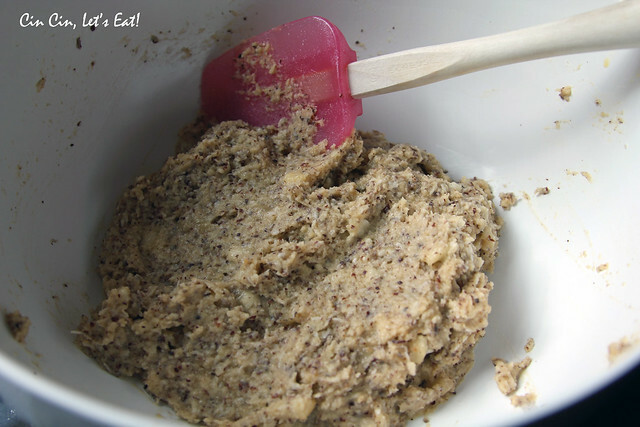 Pour wet ingredients into the dry and mix well until fully incorporated. Divide the batter evenly into the muffin tin, smooth it out a bit with a spatula and sprinkle a little shredded coconut on top of each loaf. Bake for about 22 minutes. Test with a tooth-pick for doneness. Remove loaves from oven, let cool in pans for 10-15 minutes and then transfer to a wire rack to continue cooling. I ran out of cupcake/muffin liners so I cut out squares of parchment paper and press them into each slot. The first batch I made yielded only 10 muffin-size loaves. I might have put too much in each slot. All the following batch I was able to divide the batter evenly and filled all 12. Very moist and flavorful loaf. If you like a bit more crunch, add in some crushed nuts or maybe top with some roasted coconut flakes. 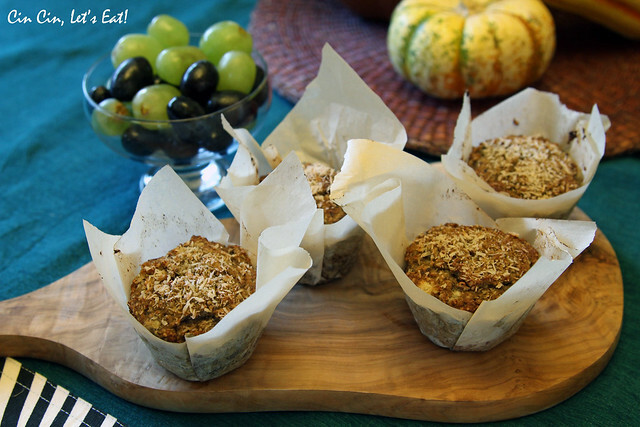 Very healthy – perfect for the new year! love the rustic look with the parchment paper!!! Good thinking with the parchment paper! 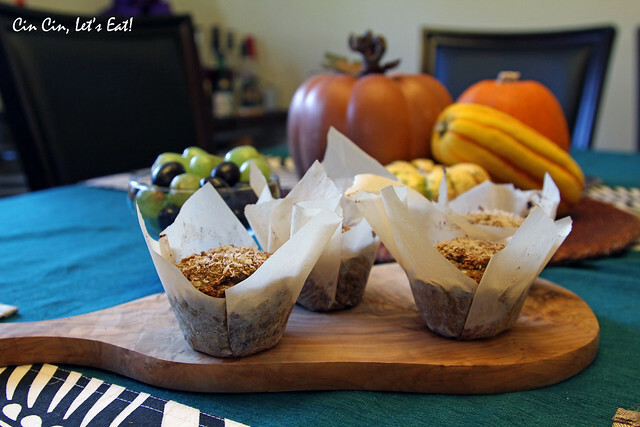 You can even wrap up the muffin if you don’t finish it (highly unlikely, as it looks too yummy to NOT gobble up all of it! ).